I made these whimsical earrings with faceted emerald green glass and silver plate beads holding charms that say wish and believe. All metal in these earrings is silver plate, including the ear wires. The silver bicone and Saturn beads are silver plate over acrylic, which helps keep the earrings lightweight yet strong. 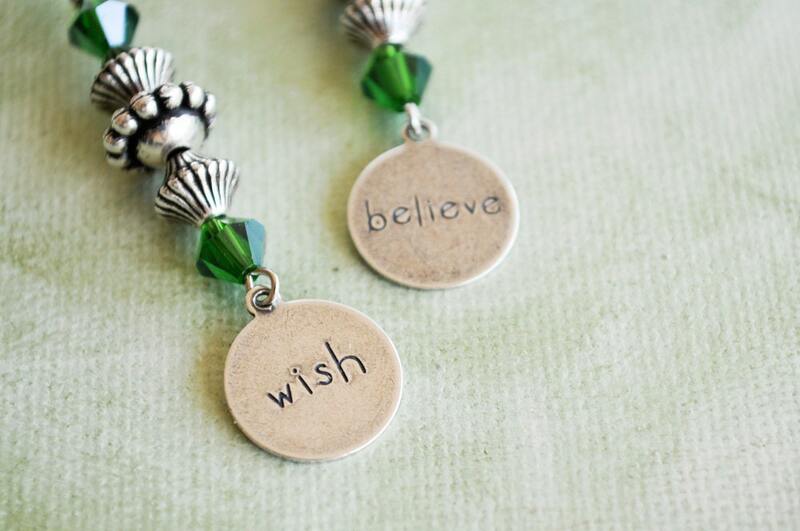 The wish and believe charms are made by Trinity Brass Company, known for their fine quality. I rounded the ends of the ear wires for your comfort and safety.